The move reflects the Chinese government's desire to stick to plans to make the economy more competitive and its intention to press on with state-led development of industry. It gave no indication the reductions would apply to U.S. goods, on which Beijing has imposed additional taxes of 5 to 25 percent. President Xi Jinping's administration has this year announced a series of measures to open up the Chinese market to outside competition but none addresses U.S. complaints that the government steals or pressures foreign companies into handing over technology. The United States, Europe and other trading partners say initiatives such as "Made in China 2025," which calls for state-led creation of champions in robotics and other fields, violate Beijing's obligations to open up its market to foreign companies. American officials worry they might erode U.S. industrial leadership. U.S. President Donald Trump went ahead Monday with a tariff increase on $200 billion of Chinese goods. Beijing responded by imposing penalties on $60 billion of American products. That was on top of an earlier duty increase by both sides on $50 billion of each other's goods. Negotiations were impossible while Washington "holds a knife" to Beijing's neck by imposing tariff hikes, a Chinese deputy commerce minister, Wang Shouwen, said Tuesday. A Chinese government report on Monday accused Trump of bullying other countries and destroying "mutual trust" required for international relations. That dampened hopes for a settlement and prompted suggestions China might go so far as waiting for Trump to leave office instead of negotiating. In research published Wednesday, economists at the European Central Bank said they simulated a wide-ranging trade war and found it would hurt the United States economy significantly, making households poorer and destroying jobs, while China would not suffer as much. The researchers concluded that stock and bond markets could be hurt by a general loss of confidence in the economy, and that "an escalation of trade tensions could have significant adverse global effects" on growth. The regional lender based in Manila, Philippines, said it expects economic growth in Asia to remain at a robust 6.0 percent in 2018 but to slip to 5.8 percent next year. 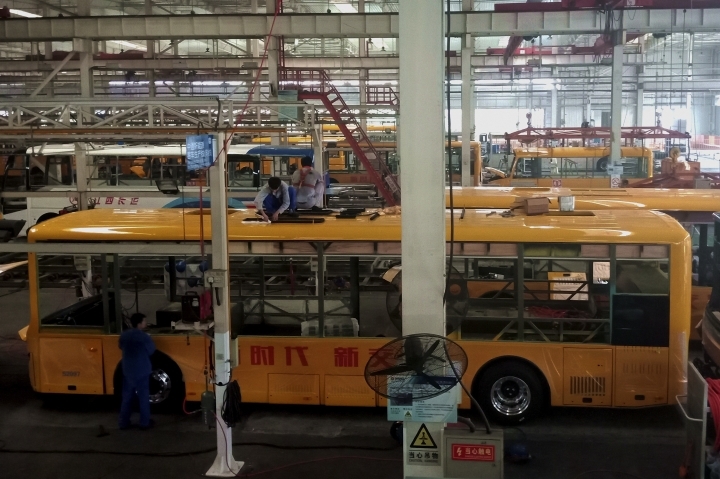 China's economy is expected to expand at a 6.6 percent annual pace this year but slow to 6.3 percent in 2019, it said. Chinese Communist leaders have tried to deflect foreign frustration over their industry plans by highlighting China's growth as an import market, better protection of foreign patents and copyrights and other gains. They see initiatives such as "Made in China 2025" as a path to prosperity and global influence. Under the latest changes, tariffs on electronic equipment and other industrial products will be cut from 12.2 percent to 8.8 percent, according to a Cabinet statement. It said charges on textiles and building materials will fall from 11.5 percent to 8.4 percent and those on paper and other resource products from 6.6 percent to 5.4 percent. 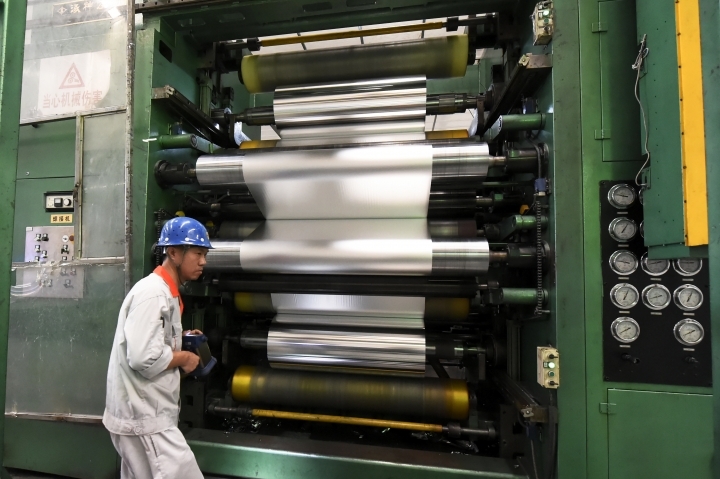 The charges are aimed at improving "industrial upgrading" and "consumption by the masses," the statement said. China faces a "complex domestic and international situation" and needs to "maintain stable and healthy economic development," the statement said. To do that, it said, China needs to "expand domestic demand and unswervingly expand opening up." It promised to create a "more fair, convenient, predictable and attractive" investment environment. China's overall import tariffs have been cut to an average of 7.5 percent from 9.8 percent a year ago, according to the Cabinet statement.